This toolkit was developed as part of the Urban Sustainability Directors Network’s suite of Innovation Products. The Urban Sustainability Directors Network (USDN) is a peer-to-peer network of local government professionals from cities across the United States and Canada dedicated to creating a healthier environment, economic prosperity, and increased social equity. The USDN Innovation Fund supports collaborations of four or more member communities to develop innovations that address city-identified problems or opportunities in sustainability, or scale up proven innovations. The development of this toolkit was funded by a grant from the Garfield Foundation, with matching funds provided by the USDN Innovation Fund. 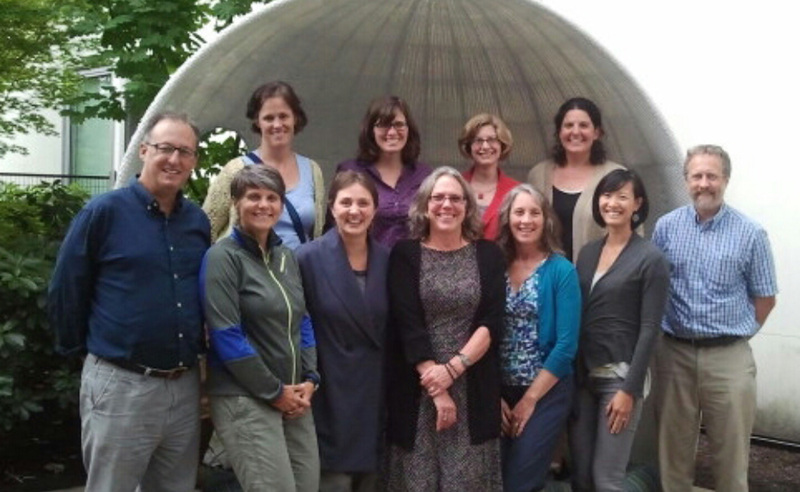 The Urban Sustainability Directors Network (USDN) has been actively exploring sustainable consumption for three years. With the growing interest and engagement of its members, USDN has launched a program of research, capacity building and partner support. USDN Innovation grants supported early research and capacity building for member cities, providing them with a strong foundation in the topic. One of the cornerstones was a successful partnership with the Sustainable Consumption Research and Action Initiative (SCORAI) in 2014, where researchers and USDN practitioners came together in a workshop to explore unique opportunities for cities to advance sustainable consumption. The results of the workshop are captured in the Eugene Memo, a framework document that highlights key leverage points in city policy and regulation including housing, economic development, government procurement and community sharing.